Get your tasks, projects, developments and more done by Ninjas! Not sure how to get started? Click on Get Started anywhere on this page. Or download our Mobile App. Just a snap and your task is taken care of. Select the service you would like us to process for you, along with the level of complexity your task would entail. Review the details of the service, credit costs and add details of the task you would like completed. You can rate the assigned ninja or team of ninjas and review the completed tasks and files. Click to explore each service in greater detail. Providing you with your very own Personal Administrator or a Team of Administrators. 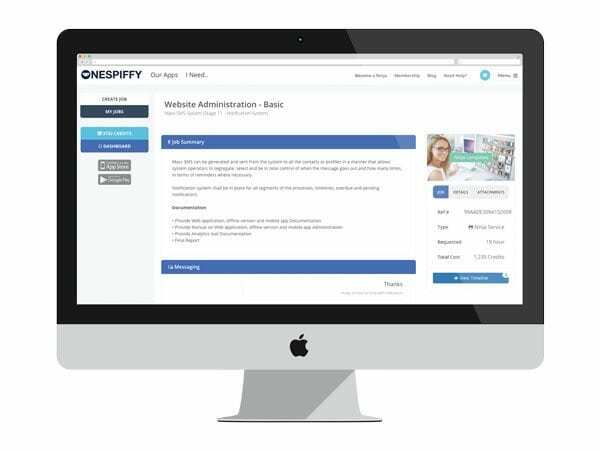 Your own Personal Website or Social Manager + Assistant to help with Managing your Website.. Your own Personal Developer to assist with Website, Mobile, Platform and Application Development. Your own Personal Engineer to help you with maintenance or any problems you may face with your Systems. We get your items delivered quick and painlessly with our Ninjas situated globally. Get your own Professional Ninja Whizzard to assist with household maintenance, after-party cleanups or general cleaning! Bundled Development, Design and Deployment of your Web Application or Website on our Cloudlet. Allowing you to have a custom SMS Name, contact list, messaging and campaign management. Start Marketing your Business or Brand Right with Ninjas providing you with Social, Sales & Marketing Strategies and Campaign Actions. Core features for every account. We provide each and every member with a Dedicated Account Ninja. To assist you should you find yourself lost. Providing access to Ninjas' globally 24 hours a day, 7 days a week. Track the progress of your job by the Ninjas' to the minute. Ensuring your job is taken care of efficiently. Every Job created will come with a nifty way for you to keep in-contact with your Ninja. Live Chat! Message your Ninja on progress or even request updates. We ensure all Transactions are Secured. All Transactions are SSL Secured and PCI Compliant. We use Credits which are based on the currency you choose from the location you are at. Full transparency and no more rate/price haggling. 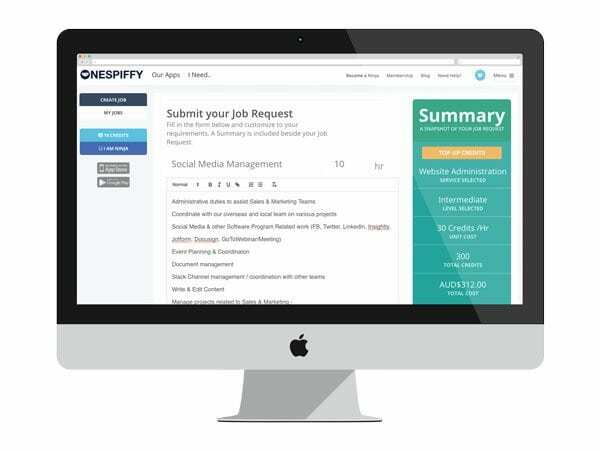 Jobs App is fully Cloud Powered, ensuring that your data is secured and safe wherever you are in the world. Documents are essential in every Job. We provide unlimited uploads for every job created, to ensure your task get's completed to your specifications. We connect and experience your love and joys. Simple & Quick! 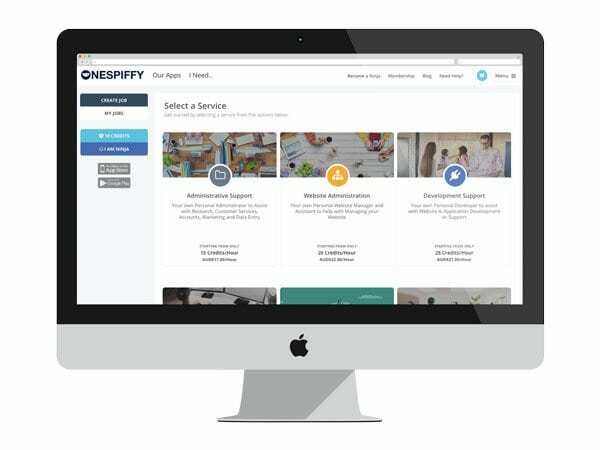 Kudos to the OneSpiffy Ninja Team for giving our Business the Edge we needed. Took me just 5 minutes to get set up and Charie my Account Manager assisted every step of the way. Responsive Application, the appeal for us was that we could get services we required for our small business and literally multiply our staff strength. Connecting you to your tasks and projects on the go. Interested in joining the empire as a Ninja? We are interested if you are! And once you have been approved, you will be joining our teams of intrepid ninjas. You will need to have the passion first and foremost - and be skilled in ensuring jobs assigned are completed with professionalism and within deadlines provided. It's a simple 3 Step Process. Register with us now, and click "Become a Ninja" and join the fastest growing empire online - not to mention earning, growing and having fun.